This race was the end of a long series of Ironman races throughout the year: Ironman Austria 70.3, Ironman Austria, Ironman UK 70.3 and Ironman UK, all of them in preparation for the big event in Kona. I had managed to improve my personal best time in Ironman Austria in Klagenfurt to 10h33min, but it was again Ironman UK where I qualified for the most important race of the year, the Ironman Worldchampionships in Kona, Hawaii. I had changed my bike wheels before the Ironman UK race and with my new Zipp Weaponrye wheels, my bike was running even faster than before. 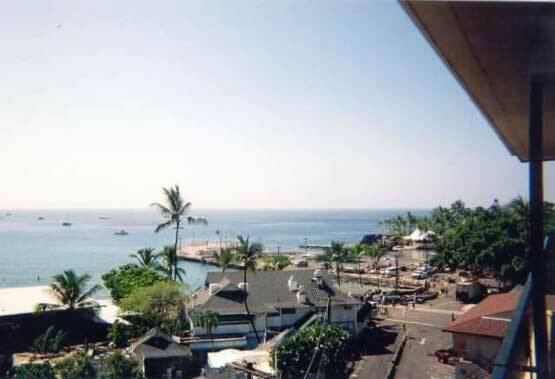 Again, I found accommodation in the Kona Seaside Hotel on Alii Drive, directly at the swim start. This time I made contact with the Ironman Life Coaching training camp before my travel to Hawaii and they kindly invited me to take part in their race preparation training camp, including several open water training sessions on the Ironman race course, a training ride on the Ironman cycling course around the turnaround point in Hawi and a running session in the Kona Energy lab, a part of the Ironman running course and seminars about the spcifics of the run, cycling and swimming course and nutrition/hydration. I felt so well with the Canadian Ironman life coaches, that I spent all my time in Hawaii with them and performed all my race prepaparation with the other professional woman of the Lifecoach Camp, Katya Meyer from San Diego. With the specialist advice of the professional Ironman lifecoaches, I had my bike serviced and also renewed most of my equipment. This time I would swim in a proper BlueSeventy speedsuit to improve my swim time. I had a great time in the swim sessions of the training camp and we spent hours in the sea, practising open water swimming, drafting, swim technique. Two of the coaches accompanied us in Kajaks to give instructions and observe and correct our technique. One other lifecoach, Mark Shorter, was preparing himself for the big race. He had qualified as an age grouper and would be participating and simultaneously coaching people during the race. One of the most impressive personalities that I have ever met personally in this sport. After a very hectic week, densely packed with training, service of equipment, meeting people and planning for the big race, I was all excited when we professionals gathered together for the race briefing. While most of us had been training in Hawaii for several weeks to prepare and acclimatise, we had not had the time to meet up. I finally got together with the other professionals of the Austrian national team, whom I had seen the last time in the Ironman Austria about 4 months ago. In the race briefing we were informed about the time schedule for the next day, about race regulations (e.g. drafting on the bike), difficulties in the course, medical help and repair service on the bike course. At the end of the race briefing the athletes selected for doping test were announced. I spent the rest of the day with my friends from my team. reached the shore after the one lap swim course, I was vormiting because of the exhaustion. I can not rememberhow I managed to climb out of the water because I felt very dizzy and I could hardly move my legs. When I reached the showers in the transition area, I looked at my watch and I could not believe it that I had improved my swim time for 15 (!!) minutes compared to my first race in Kona. I clearly made the cut-off time for the professional athletes and so my biggest concern was resolved. I tumbled to the transition tent to change my clothes and fetch my bike from the bike rack. recover from the swim. I followed my nutrition and hydration plan very in a very controlled manner and I began to rehydrate immediately after the change to the bike. Once I was out of town and on the highway to Hawi, I started to feel better and I got my cadence up and increased my speed. I was filmed for most of the time from the professional race photographers on my way to Hawi and this motivated me as well. It was a great feeling to have myself under control and perform well enough to be filmed during my effort! problems himself, a professional athlete always received help from on-course bike mechanics. There was a distinction between amateur competitors and professional athletes who compete for their daily living and sponsorships. Cycling in Hawaii was not only a physical challenge because of the strong wind and the hot and humid climate, but also an enormous mental challenge. It took all my concentration to cycle the course without accident and in a professional time. I always felt a great relief when I reached the bike to run transition, in any of the 18 Ironman races that I have done in my Ironman career. This time I had hurt my shoulder somewhere along the swim course which had not become apparent on the bike course. Once I started running though, I could feel some discomfort in my left shoulder which got worse with every step I made. Somewhere after half of the run course I was about to give up. The discomfort in my shoulder had turned into a sharp pain and I could hardly breath because of pain. One of the lifecoaches from the Ironman camp waited for me on the run race course to motivate me. He told me to finish the race and to run as fast as I could. I made the effort and continued. When I reached the energy lab, I was trembling because of pain and I got real breathing problems. I had to slow down my pace and I stopped taking any fluid from the aid stations. I just tried to concentrate on the run and eliminate the other people and also the pain. I did reach the finish, still before the PRO cut-off time, with the help of all the spectators, the lifeguards and my coach, who motivated me so much that I had the mental strength to fight the pain and win the race against myself. The director of the Ironman Worldchampionship Organization waited for me at the finish line and congratulated me for my performance. After the race I spent two days in the house of a volunteer of the Ironman race Organisation who took me around the Island. She spent one day with me in a Kajak paddling around the coast of Hawaii, watching turtles. She even drove me to the airport so I could catch my plane back to London. 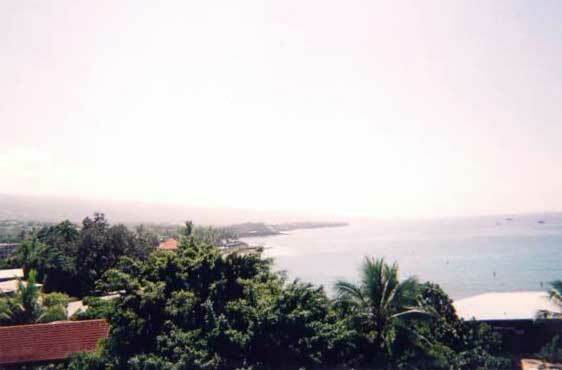 I arrived in Kona on Friday, October 3 in the afternoon after an overnight stop in San Francisco. Luckily all my luggage arrived on time in Kona and so I could stick to my plan and drop my racing bike case at Bikeworks, the race bike shop the same day. Eventhough I had not booked in my bike (I simply forgot), I was promised to get my bike assembled by noon the following day. 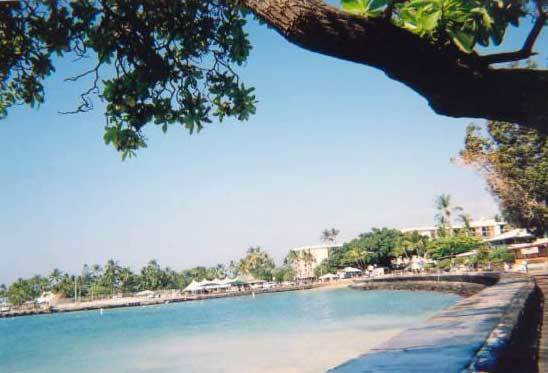 I did a relaxing run along Alii Drive and then a short swim on the race course to loosen up from the travel. On Saturday morning, October 4, I registered at the LifeCoach Training Camp at the race venue at 7:30 in the morning. I had sent several emails before to the LifeCoach team and so I was immediately approached by one coach, Mark, who was introduced himself as runner and cyclist and as lifeguard and swimming trainer on the camp. I told him a bit about me and after the seminar on open-water swimming, I followed him to the swim course for the first swim training session. Most of the athletes on the camp were age group athletes but there were also two other professional women, Katya and Lindsey. We were trained by two coaches, Mark and Paul who accompanied us on two kayaks. Another trainer, Mark Shorter, took part in the race as well and so he multitasked and coached us while he was training himself as well. After 15 minutes of independent warm-up, we competed in about 20 25m sprints. Next we practiced drafting in 200m repetitions and I tried to draft Katya to check if I could follow her as an experienced PRO athlete. 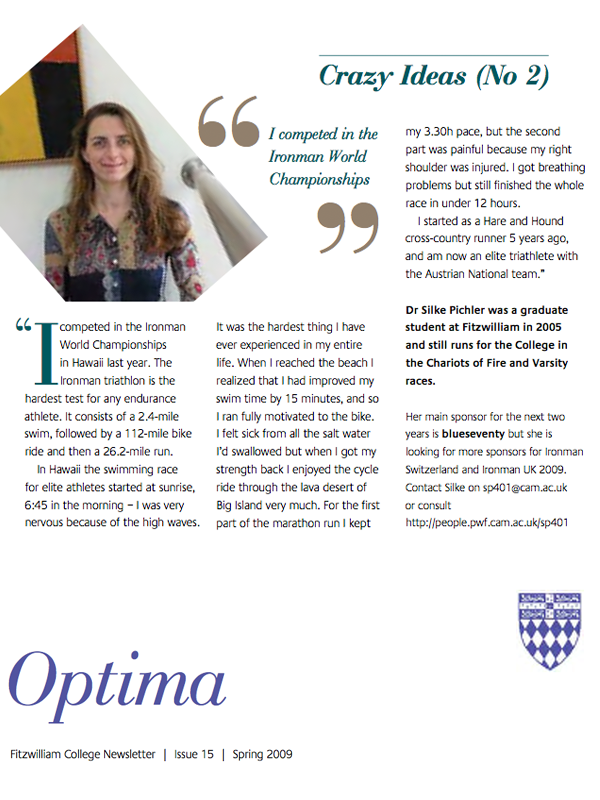 It was very useful for me to practise sprinting and drafting with PRO athletes to practise the real race situation. Then we did 8 minute intervals in race pace changing the drafting partners. Mark and Paul watched our swimming technique and I was told that I had a nice technique and stroke and a good engine. I was asked to try to increase my stroke turnover and rotate my hips faster so that my overall swim time would be faster than in my last Worldchampionship race in 2006. It was a very new experience for me that someone looked so closely at my swimming and gave me such detailed and understandable instructions. I was told that I needed a new speedsuit and so I went to try some speedsuits after the 2 hour swimming training. I finally bought a new Blue 70 Speedsuit for the race in Bikeworks. In the afternoon I picked up my bike at Bikeworks and I was told that I had worn out my second chain this year and that they had to replace it. It is true that I have never done so much cycling before in one year with 14 time trials, 2 Ironman races, 2 Ironman 70.3 races, the Duathlon Nationals and all the training for it. But still three chains in one year seems to be a lot! Anyway, it was clearly worn out and I was told that the chain would slip on the hills and so I would urgently need a new chain. So the chain was replaced and I tested my gears and chain for 1.5 hours on the race course. On Sunday morning I attended a seminar about the cycle course at 9 am in the LifeCoach camp and then I joined the group for a cycle training ride on the cycle course. We took the bikes on a truck and we were dropped off about 20 miles from Hawi. We cycled the 20 miles to Hawi and return in race pace and Katya had such a fast pace that I had to make a real effort to follow her. In addition, there was very strong wind and so it was hard to hold the bike while cycling against the wind, especially downhills. My feet became really hot in the heat and I realized that my shoes were not suited for such hot wheather. In the heat my feet started to swell and hurt because my shoes were closed and became to tight for my swollen feet. It became clear to me that I had to get better shoes for the race, best would be open ones. It was also suggested from Lindsey to cool feet with cold water at the aid stations during the race to reduce the swelling. She herself has been racing sockless recently to have more space in her shoes. I thought that the race was not the best time to try this and that I might get blisters which would hinder my running later on and so I decided to look for some more comfortable shoes. Furthermore, the heat had somehow dissolved some glue on the sole of my shoes and so I was worried that they would actually fall apart in the race. I had used them in 2006 and remembered that my feet had hurt from the swelling. Back in Kona I collapsed in my room and decided to skip the LifeCoach party in the evening. I managed to still do a one-hour run in the evening to relax from the cycling. On Monday, there was a second swimming session on the race course, similar to the one on Saturday and we swam about 3000m altogether. Mark trained me all the time and with him next to me I could completely concentrate on my swimming. I tried to increase the stroke turnover as Paul has suggested and I managed to do this in some intervals. Back in the seminar room, Paul urged me to focus on the swimming in the race and to put all my effort in the swim in this race. Mark encouraged me a lot because he knew how nervous I was about my swimming time and he said that my run and cycle ride would compensate for a lag in my swim time. So I was quite calm when I left the camp at noon to get a massage at the race massage tent. I got a ‘deep release’ massage for my legs and I was told to come back the next day after swimming for my back and the day after that again for my legs. I was asked to rest my legs from now on. On Tuesday, I swam for 20 minutes on my own in the morning and then I went back to the massage tent, I met a very nice doctor there who told me that he was treating Chris McCormack when he was training in his gym in Los Angeles. He gave me a ‘deep release’ massage on my back and he recommended to me to work in the gym to recover my back from cycling and to reduce my cycling training but put more emphasis on swimming and running. I was told to ice my back and my legs every 2 hours for 20 minutes the whole day to calm down the inflammation and to come back the next morning. I followed his instructions and also did a 1h recovery run in the evening. On Wednesday, I again swam for 20 minutes on my own and then went back to the massage tent. I was told that my legs were misaligned from overtraining and I neede two guys to have them aligned again which was a bit painful. After this treatment they were satisfied and I was released and allowed to do my race. I spent the rest of the day icing my body as recommended to me the day before and in the evening I did another 1h recovery run. Walking around Alli Drive in the evening I met a LifeCoach from the camp and he gave me some final instructions. On Thursday, I did my usual 20 min swim on the race course and after the swim I met Mark at the Gatorade stand. This day I was very busy because I had to pick up my new cycling shoes, my new helmet, my new cycling gloves and my new speedsuit from Bikeworks and so I did not have any time to wait for him to finish his work. I tried my new shoes and helmet in the afternoon and then cycled to the Expo where I met Chris from Ironman UK and also Mark and Paul from the LifeCoach camp who introduced one of her new coaches, Carol. I went to the PRO race briefing where I met Hannes Hempel while we were waiting for our pictures to be taken from the race organizers. The names of the athletes chosen to be tested for doping were announced at the end of the briefing but I wan not one of them. On Friday, I tried my new speed suit in the morning. The rest of the morning I was busy with checking in my bike and transition bags. I decided to fix my shoes onto the bike already the day before the race and also the helmet and the bike computer. I left all my race kit in my transition bags and so the only thing left to do for next day was to pump up the wheels and fix my bike bottles to the bike. I had my own personal helper who guided me through the transition area and showed me the swim start and the transition tents and where to place the transition bags. This personal helper was very useful because I was so nervous that I could hardly function. She must have realized in what mental state I was because she was very patient while I prepared my bike. I was so relieved when I could leave the transition area and I went to meet with the LifeCoach team. Mark Shorter said that he would help me to disassemble my bike on Sunday morning. He stayed in the same hotel as me and so he would come by in the morning. He gave me his mobile number so that I could contact him. I said that I would try to get another accommodation for next year (I was positive that I would qualify again) and also for the rest of my stay this year. So I went to talk to the race office and I was told to come back after the race on Sunday at 10 am and that they have got some private housing for me where I could move on Sunday. I was glad that I could sort everything out and I spent the rest of the afternoon packing my suitcase and organizing my race kit for the race next day. My hotel ‘Konaseaside’ was located directly at the race start and so I had only about 100 meters to walk there. But it was also very noisy because people were building up the tribune and the race fences in the evening for the next day and testing the loudspeakers. I did not get much sleep and when I woke up at 4am I was very tired. I ate my three powerbars while I prepared myself for the race and then I walked over to the race start area for bodymarking and to set up my bike. Because of the proximity of the hotel to the transition are, I could even take my pump back to my hotel after I had pumped up my wheels and so I did not have to leave things with the race stuff. I met Hannes Hempel at his bike and we arranged to meet after the race at 7pm in the finish area. I also met Bella Comeford and Steve Bayliss in the swim start area whom I knew from my many Ironman races in the UK and the Ironman Austria this year. I warmed up besides them as usual and we walked into the water together. 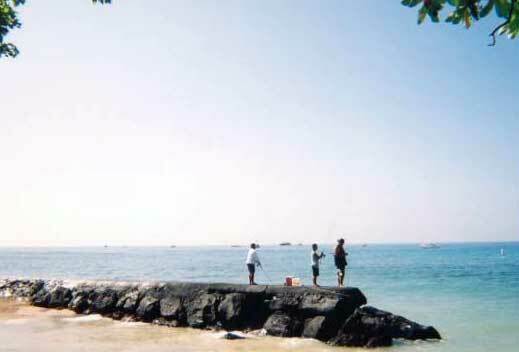 I swam out into the sea as one of the first swimmers and I was very nervous because of the high waves. The PRO swim start was at 6:45 am and it was clearly the hardest thing I have ever experienced in my entire life. The waves and the reflection of the sunlight on the water made it impossible to see the orange balloons in the water which were used to mark the race course. There were lifeguards on kayaks located all along the inner side of the swim course and only with their great help I managed to swim the course in the fastest way possible. I could not draft the PRO athletes and so I had to make all the hard effort and swim on my own until the turnaround point at the ship. At this time I was overtaken by two or three very fast age group swimmers and I tried to follow them to become more independent of the lifeguard that had guided me all along the course and kept yelling at me to increase my speed and to follow the orange balloons. On my way back to the shore I was overtaken by the best age group swimmers which allowed me to draft them and to increase my speed. In the end I also overtook a few swimmers, Close to the shore I felt cramps in my stomach from the hard effort and I also had to throw up some of the salt water. I felt so disgusted by all the saltwater that I could hardly put my head under water anymore. I was so happy when I reached the beach and when I looked at my watch and realized that I had made my cutoff and improved my swim time for 15 minutes compared to 2006. This was a great personal achievement for me and so I ran fully motivated to the bike. In the beginning of the bike ride I felt sick from all the salt water that I had swallowed but I forced myself to drink my Gatorade and to eat some Powergels to calm down my stomach and to get my energy back. 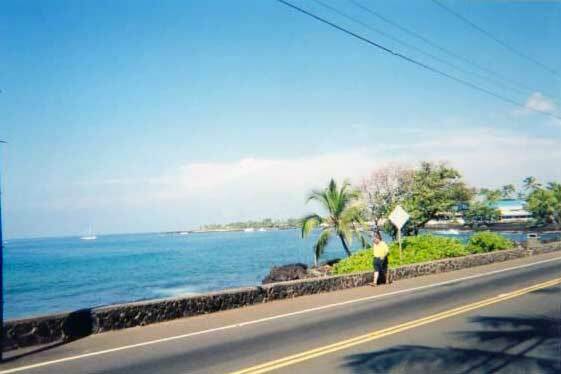 Once I was out of Kona I got my strength back and I enjoyed the cycle ride very much as usual. The wind in Hawi was hard to cope with and I had to break several times on the downhill section right after the turnaround point in Hawi, which must have cost me a few minutes. The first part of the run was o.k. and I could keep my 3.30h pace. I met Katya close to the beginning of Alii Drive, me running out of the center and her coming back already. 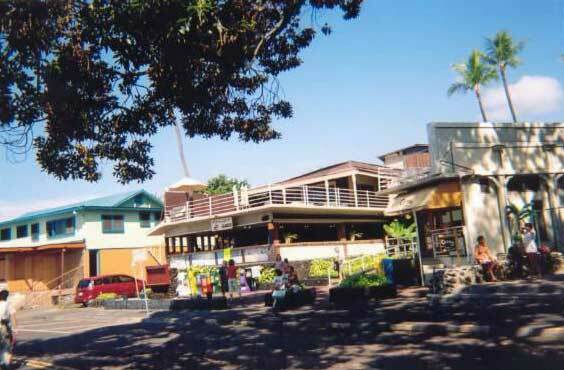 More infromation about the Ironman in Hawaii here.